Assisted by a hardworking team and modern manufacturing set up, our manufacturing, supplying and distributing unit is affianced in providing supreme quality Split Cylindrical Roller Bearing in the domain. Our capable team of workforce design and fabricate the offered bearings using quality-approved metal steel and avant-garde techniques adhering to industrial standards. 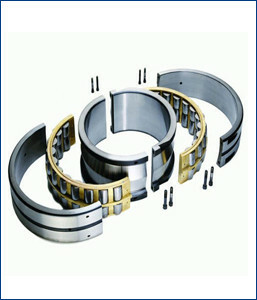 Additionally, we offer these bearings in customized form as well.